Did You Know? Initially intending for only one film, the producers decided that nothing should be left out to squeeze into a single adaptation. So they decided to split the film in two. The footage filmed for both parts clocked a running total of 5.5 hours, with a working script over 500 pages, fully justifying the split. Quotables: DOBBY: Dobby will always be there for Harry Potter. HARRY: Are you saying that you can Apparate in and out of this room? You can take us with you? DOBBY: Of course, sir, I’m an elf. A Word from the Guise: I’m so glad that Deathly Hallows ended up being split into two parts. Both Goblet of Fire and Order of the Phoenix felt somewhat rushed, particularly the former, because the novels had so much to them. Whilst they didn’t fail miserably for their abridgment, they were nonetheless limited. 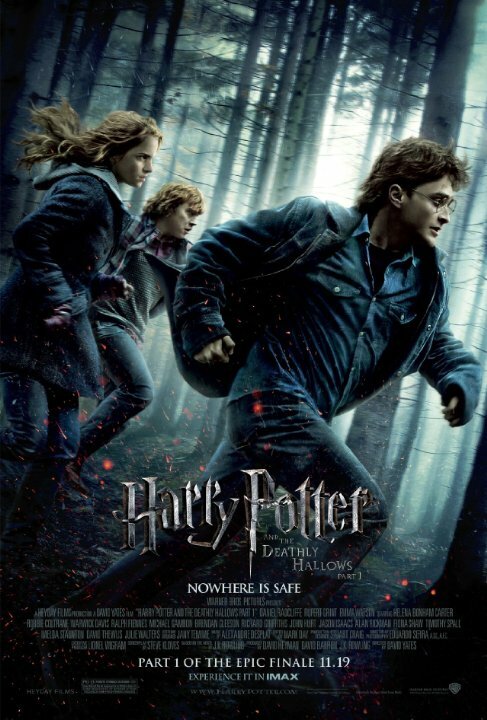 But far too much happens in Deathly Hallows for much of it to be cut, all integral to the plot. Of course, two installments meant more for Warner Bros., and I’m sure that enticement was an important factor in their decision; however, I feel that the core reason was to do justice to the story. Where other two-part (or three-part – ahem – The Hobbit) adaptations were completely unnecessary, because they stretched the story thin and added a lot of fluff to fill in the gaps, Deathly Hallows would have suffered greatly if it was made in a single installment. My favourite part of this one is The Tale of the Three Brothers. I had been hoping that they would do a sequence for it instead of just focusing on Hermione reading it. I was so delighted when the scene transitioned into an animated scene, beautifully illustrating the fairy tale.